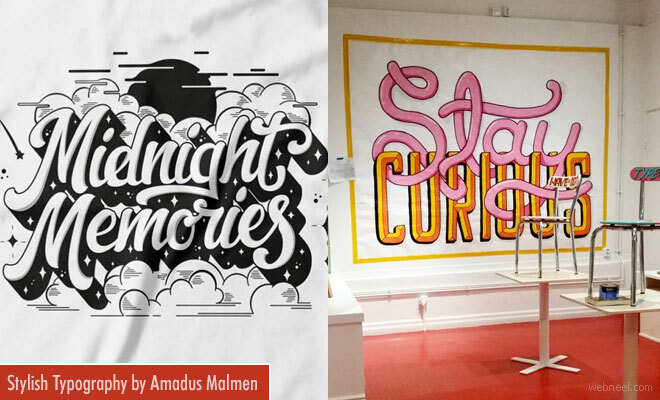 Typography Designs : Amadus Malmen is a typography artist based in Sweden. He comes up with cute lettering ways which are fun to read and some are even part of advertising ideas. He uses different styles and font faces for his creative typography works with cool and customized lettering. He takes on commission work, so if you want to use his help for your advertising needs, feel free to contact him. According to Amadus Malmen his typography works resemble, "Taking annoying social media spamming to the next level". He really knows how to word them right to seek public admiration for his creative works. Enjoy few of his Typography Designs.